The iPad isn’t just a great tool for reading your e-books or surfing the web while you’re waiting for your plane. It is a powerful and sophisticated piece of technology that can help teachers connect with students and facilitate learning in the classroom. There are hundreds, if not thousands, of great apps that can help you to teach lessons with the iPad, and there are many other ways the iPad can serve as a useful tool. The iPad is the perfect tool for making presentations – either the presentations you give to the classroom in your lessons, or the presentations that students make when they have projects due. 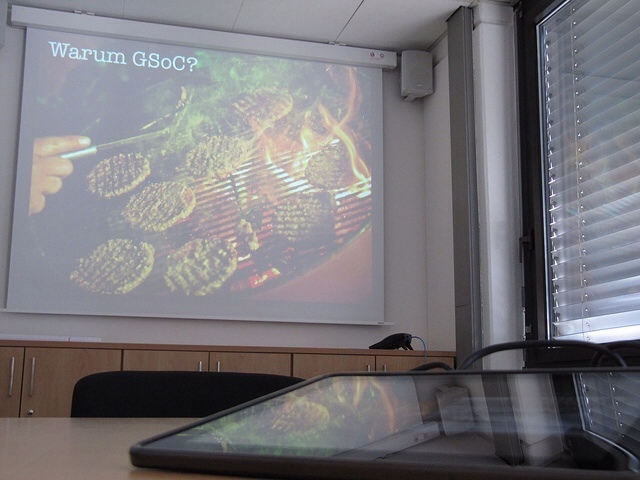 You can hook the iPad up to a projector and easily display PowerPoint and Keynote presentations. Presentations aren’t the only thing you can use the iPad to display. The iPad makes it easy to share videos, music, photos, and more. Just hook it up to a projector and you’re all set to share whatever you need to with the whole class. If you are lucky enough to have a few iPads for your class – or, luckier still, to have one for each student – you can use them to facilitate group work. Students can instantly share files, download important documents, and check your outline or other information provided for the project. It can cost a lot of money maintaining textbooks and keeping them updated with the latest versions. If your school has iPads for every student in your class, you can cut back on costs and make the task of staying updated easier by providing virtual textbooks that can be accessed through the iPads. Inspire your students to exercise their creativity and teach them about language and writing by asking them to create their own e-books. Younger students can use StoryBuddy, which allows them to draw on the screen with their finger and create a picture book. Older students can choose from a variety of apps to write and create their e-books. Publish them for parents to read on a classroom blog. There are many photo and video-editing apps available on the iPad. You can use them to allow your students to make professional looking videos as part of a project to support what they are learning in class. Apps such as Virtuoso allow you to turn your iPad into a virtual music making machine. Use this and other apps to learn about musical concepts or to foster creativity or just have fun in the classroom. Dragon Dictation turns your iPad into a personal stenographer, translating your notes into text. You can use it in the classroom to make group work go faster, to help with note taking, or to speed up timed work. A lot of games and practice drills in the classroom rely on mini-whiteboards, which the children can use to write down their responses, draw pictures, and so on. You can use the iPad as a whiteboard, allowing children to use a drawing app to create their answers. Geocaching is a fun hobby that asks users to go find a secret cache based on the coordinates given. They find a fun surprise and leave something for the next person. 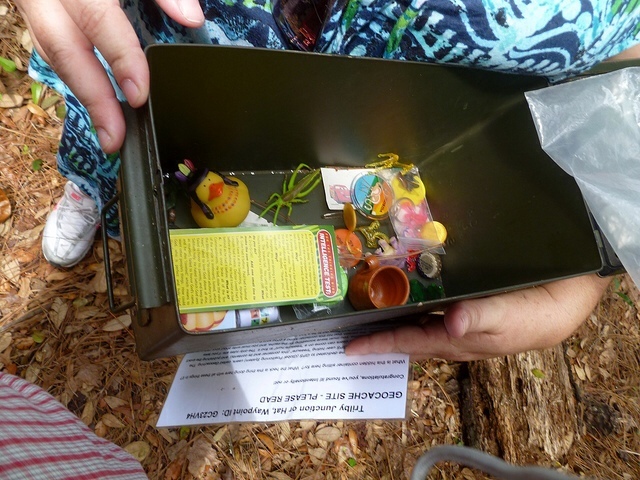 Geocaching is not only fun, but it’s also a good way to get healthy exercise and to teach kids about nature. Use the iPad’s built-in GPS to geo-cache in the area near you. You can even create your own caches so you never have to leave school grounds. There are many more ways you can use the iPad in the classroom, depending on what you teach and what age-level students you have. 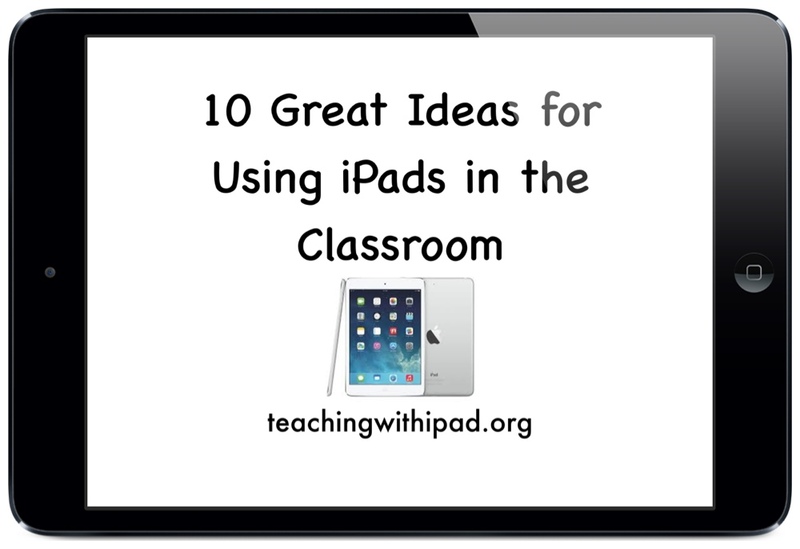 How do you use the iPad in your classroom? Share your best practices in the comments! Chloe Trogden (chloetrogden [at] gmail.com) is a seasoned financial aid writer who covers specific opportunities such as teaching grants. Her leisure activities include camping, swimming, and reading books on her iPad. 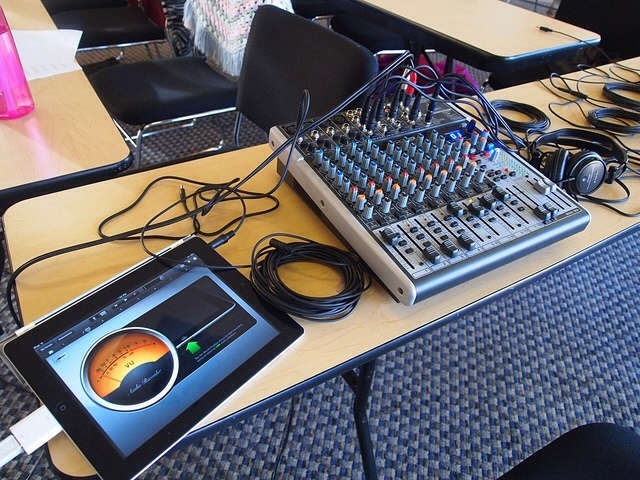 For tips on how to project your iPad in your classroom, check out this post. For a list of essential apps for teachers, click here. 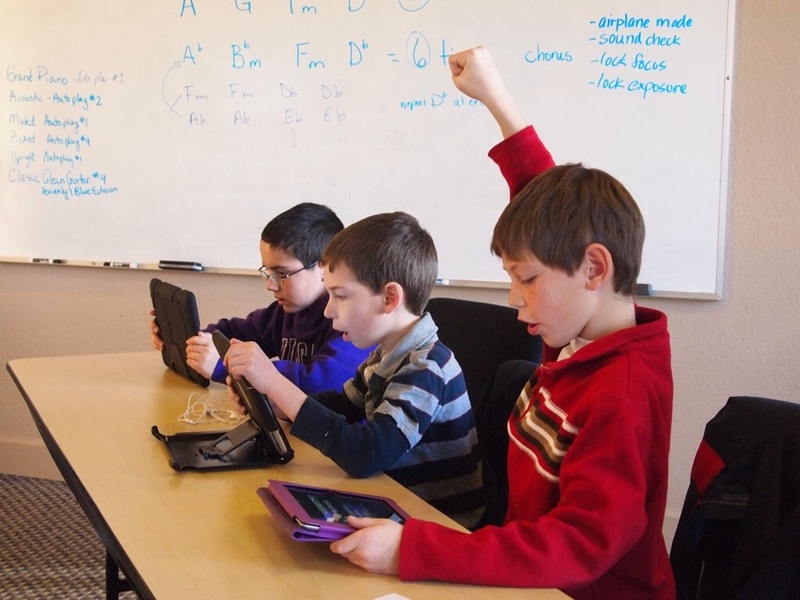 To learn how (not) to be a terrible iPad teacher, check out this post.